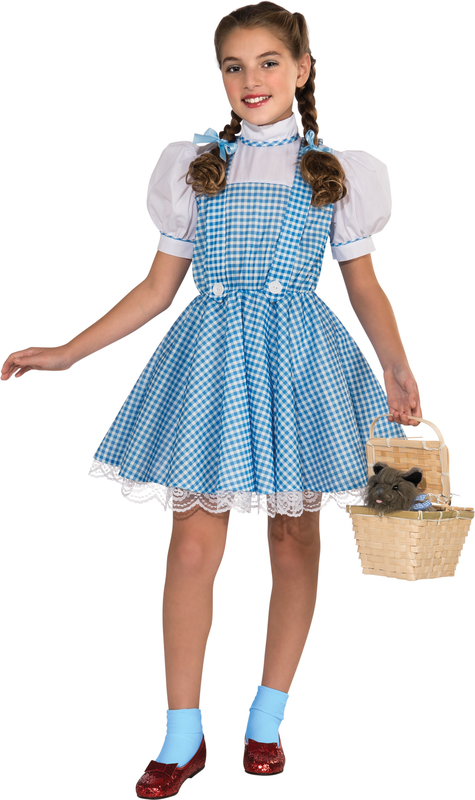 Our deluxe child Dorothy costume includes a white and blue gingham deluxe dress with attached lace trimmed petticoat and a single hair bow (differs from image and packaging). Toto in Basket and Ruby Slippers sold separately. This is an officially licensed Wizard of Oz™ costume.